We were all born with smooth, baby-soft skin. As we go through life, our skin is subject to numerous experiences that leave it less than perfect. For many of us, our first exposure to skin problems is with chicken pox in childhood, then acne scars for some of us in our teen years, and beyond. For those of us lucky enough to escape these hazards, time, heredity and gravity are still doing their part to create fine lines and wrinkles, especially around the mouth and eyes. 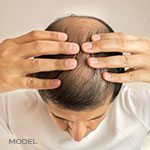 Overexposure to the sun, alcohol use, and smoking are all known to significantly accelerate the development of these natural signs of aging. Other surface imperfections, such as moles, warts, superficial skin cancers and actinic keratoses also may develop over time to mar the skin. Although dermabrasion and chemical peels have offered some hope for patients seeing smoother, fresher, younger-looking skin, lack of sufficient cosmetic result, risk of scarring and pigmentation problems, discomfort, and long recovery periods have kept many people from having the skin they desire. We are now able to remove surface imperfections and dramatically reduce lines and wrinkles with a new procedure called laser skin resurfacing. Using the UltraPulse® 5000C Aesthetic Laser, we can gently remove sun-damaged, aging skin, layer-by-layer, helping to protect and stimulate the regeneration of the deeper, healthy skin. 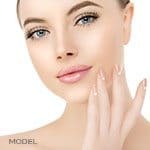 Unlike dermabrasion and chemical peels, the UltraPulse laser uses a very high energy beam of light to “vaporize”, scars, lines, wrinkles, and other skin defects. Laser light penetrates to a very precise, controlled depth, making the procedure safe and predictable, and reducing the risk of scarring or pigmentation problems. Laser skin resurfacing is bloodless, and is performed right here in our office, without the costs and risks of hospitalization or anesthesia. Because the laser is gentle, comfort both during and after the procedure is improved, and helps give you a more rapid return to your normal routine. Skin resurfacing with the UltraPulse laser is rapid and gentle. Because the treatment is bloodless and does not involve chemicals that cover the surface of the skin, we are able to clearly see exactly how much tissue to treat and remove during the procedure. It is easy to see deeper lines that may be treated more specifically to obtain the best results. In the first few days after the procedure, your skin will weep as new collagen is formed by the dermal layer to rebuild the skin from the bottom up. It will then go through a period of crusting for a few days. When the crusting is gone, the fresh new skin will have a pink quality, which will fade over a period of approximately 2-6 weeks. This is easily camouflaged by makeup, which can usually be applied in 4-7 days, depending upon your skin’s response to treatment. Post-procedure discomfort is usually minor, requiring little or no medication, but because pain is highly individual, we will make sure that you are kept comfortable during and after your resurfacing. We invite you to inquire about UltraPulse skin resurfacing, and how it can help give you smoother, fresher, younger-looking skin.